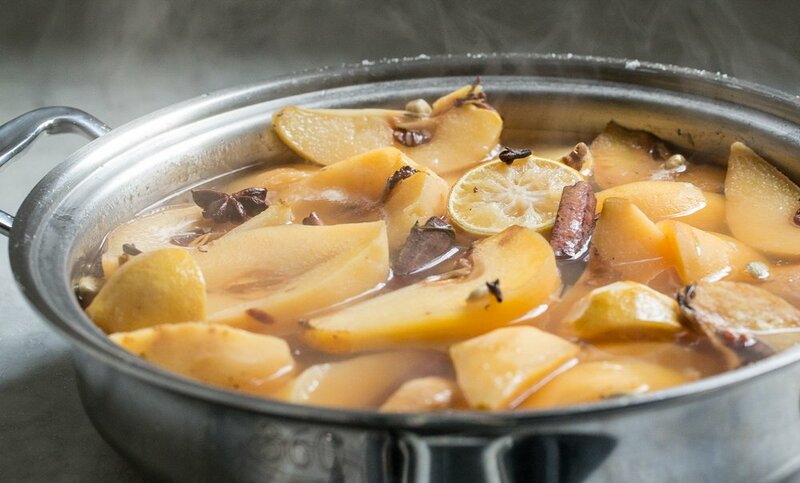 Grab those quince and being cooking, Hipcook! As you know, quince has to be cooked to enjoy, so today’s task is to get poaching, Quincy Jones. 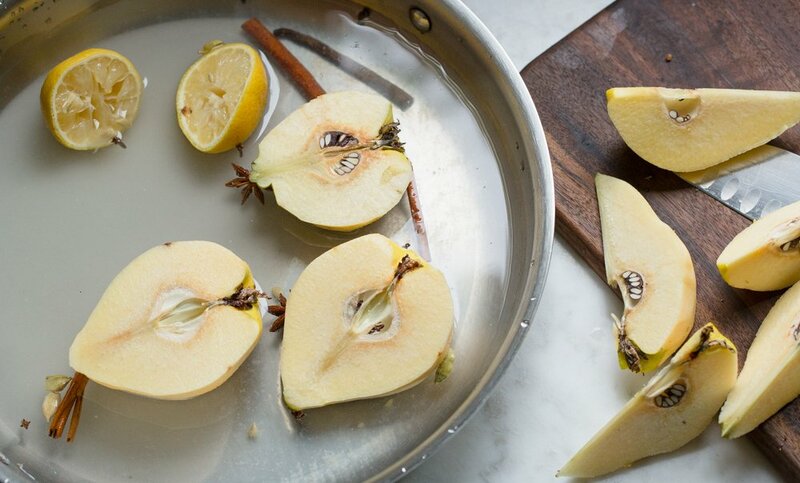 Use a u-shaped peeler to peel the fruit. 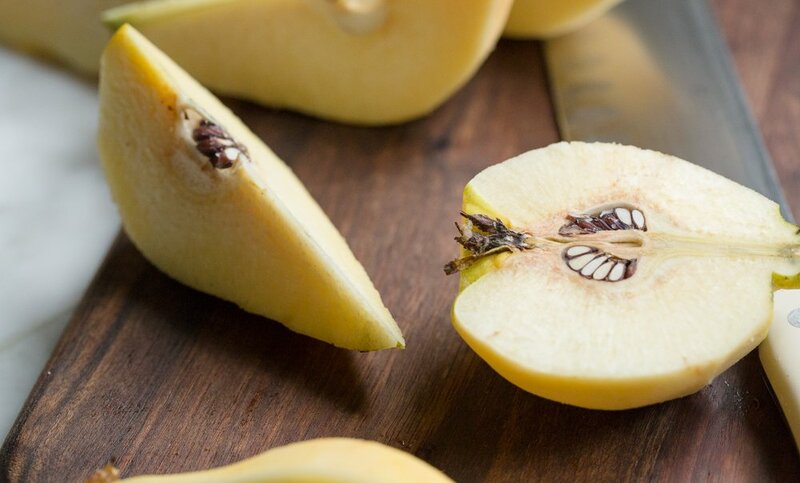 Using a sturdy knife, cut the quince in half. Cut some into segments and remove the core, but leave some just as they are. 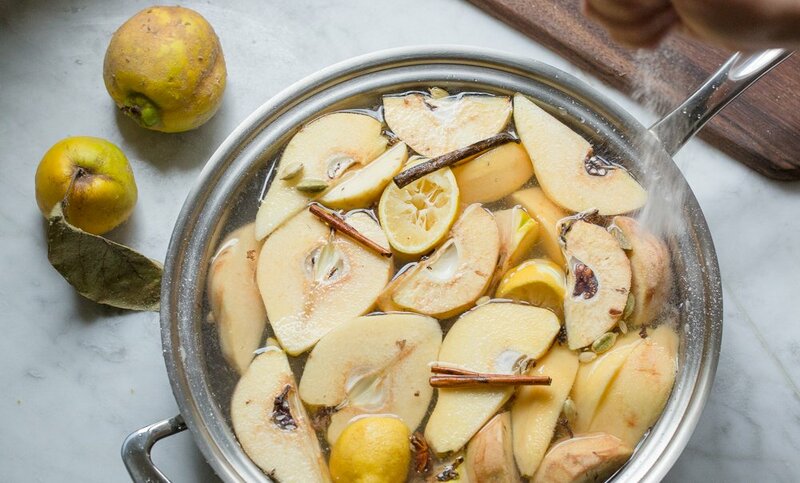 How to poach quince depends on what recipes I make, I like to have some of each type. Bring the pot to a boil, reduce to a simmer and poach away. The room will smell fantastic in short order. The holidays are here! Take big breaths, deeply. Inhale through the nose and out through your mouth. You’re gonna make it through this one, and it will be awesome.